There is a high proportion of older inhabitants in the village where I live. This is one reason why it was decided to build a whole section of 'modest' housing in the centre, to bring in young families to fill the schools. 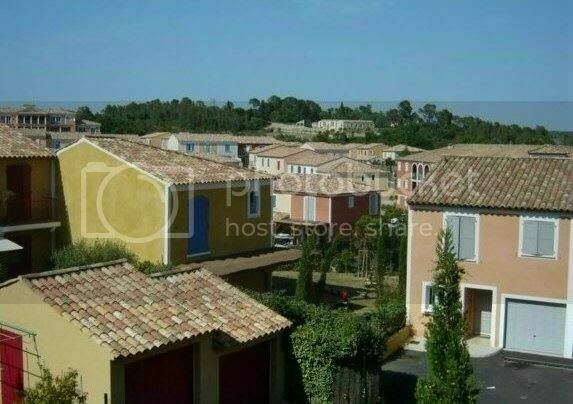 The village, being in the affluent north of Montpellier, was gradually dying as the prices of the original villas were too high for normal families. The new houses provide rental opportunities for those who are priced out of the market (like me) but still want to live in a safe, attractive environment. Today, being Armistice Day, saw many of the older inhabitants gathered together in one place, in front of the War Memorial. A classful of primary school-aged kids also came, cajoled into it by their teacher to sing the national anthem after the wreath had been laid. There were few parents of children who, like me, took their kids because they felt it was important that their children remember those who died to maintain their freedom. My boys were not enthusiastic about going. We participate every year and I suppose they felt they've been there, done it, got the tee-shirt. However, their freedom came at a price, and I feel that standing with others at the memorial for 20 minutes once a year is a small price to pay to remember those who couldn't live to enjoy that freedom which they paid for with their lives. The ceremony was short; the mayor gave a good speech where he recognised the part other nations such as the British and Americans played in obtaining victory, they laid the wreath, had one minute's silence, sang the Marseillaise and then it was over. We didn't go to the 'Pot de l'Amitié'. I had to buy bread, knew practically no one who was there, and couldn't quite face Pastis at 11.30am. Plus, the boys were keen to go about their own affairs having done their duty. Actually, I think maybe it's only as you get older and understand the fragile nature of the world and the lunatics that would go to war at the drop of a hat that you really appreciate the concept of freedom and be so thankful that we live in the free (such as it is...) world. We should honour those that gave their lives for freedom to ensure that our freedom is maintained, and not chipped away by the threat of fear by those who would control us. Beware the 'benevolent government' who would protect us 'for our own good'. Hello Sarah, You write so well that I could really picture the scene this morning and almost hear the reluctant comments of your boys 'doing their duty'. This age thing does make one more open to the frailty of life. I never thought I'd ever become the sort of person I seem to be these days. Hello FF, thank you for your kind comments. An expat, I always thought, was someone who was paid from their country of origin so paid no taxes in their country of residence and got all sorts of perks as a result.